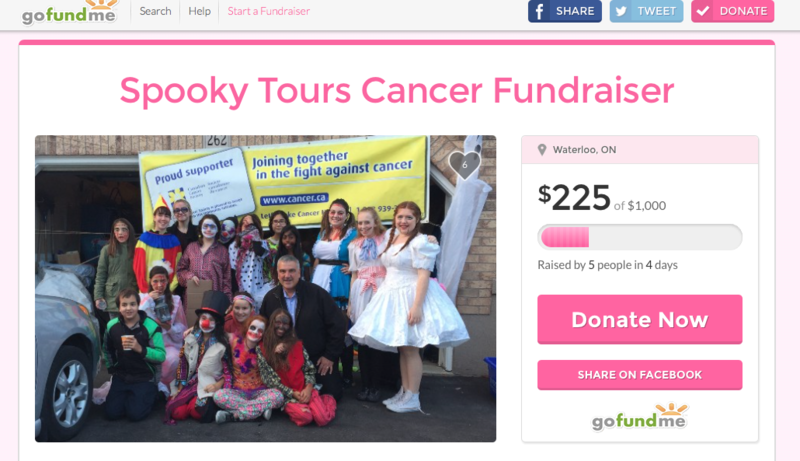 Spooky Tours has morphed to help our community in 3 ways – raise money for cancer research, clothing for our homeless and food for the food bank. 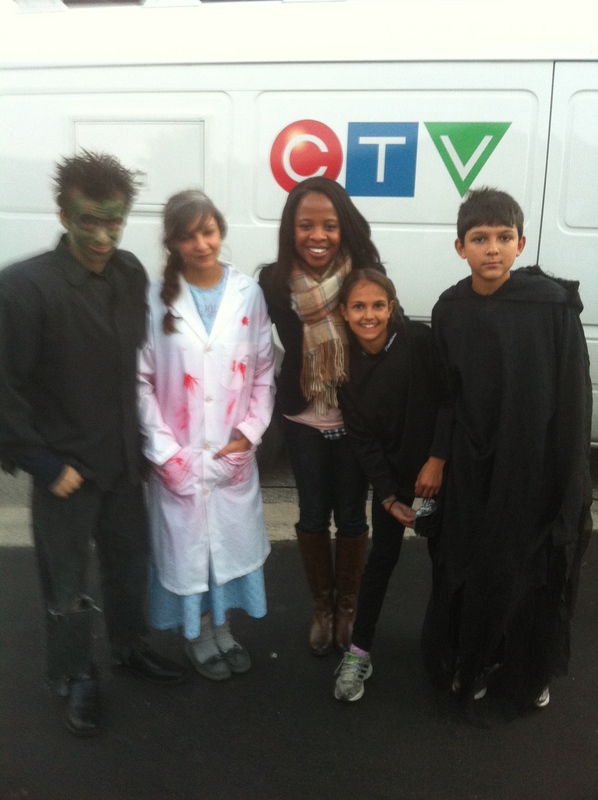 Spooky Tours was created 8 years ago by siblings; Kia and Leela, for kids and Halloween lovers of all ages. 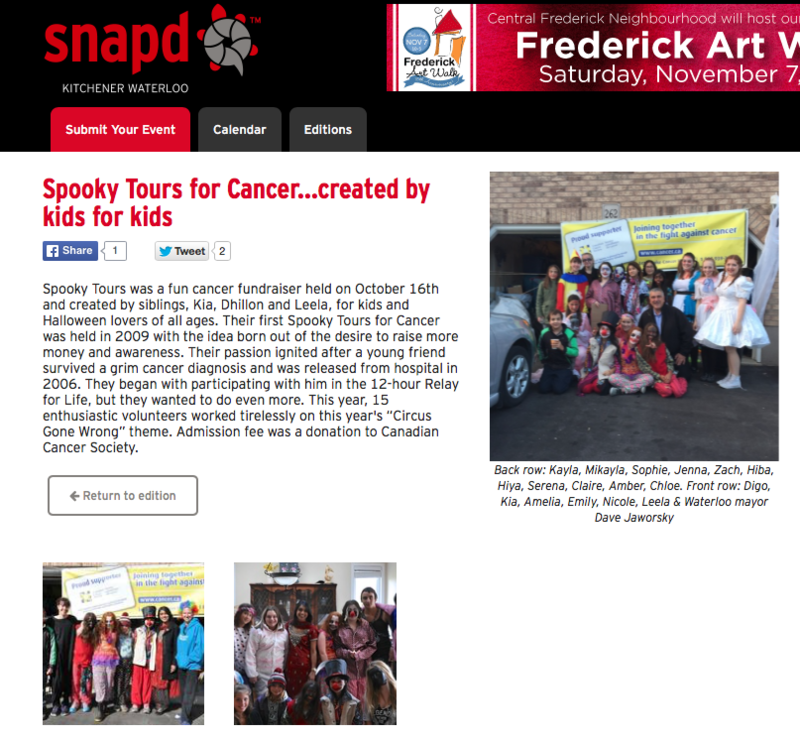 In 2009, the children hosted their first Spooky Tours for Cancer. 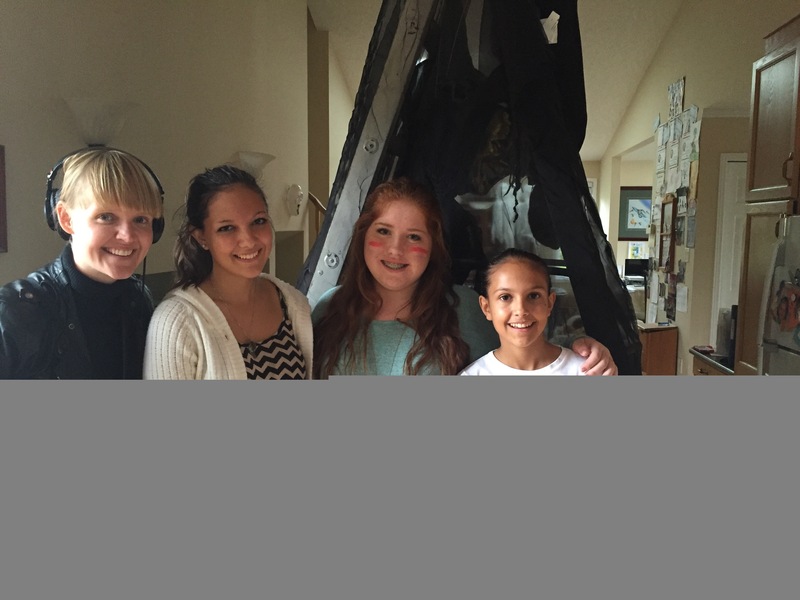 The idea was born out of the desire to raise more money and awareness about cancer. 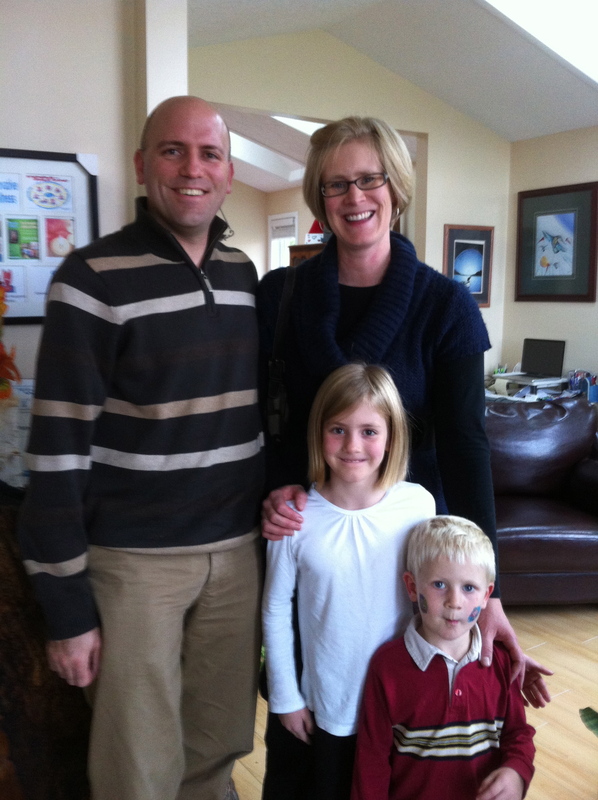 Their passion was ignited when their three-year-old friend survived a grim cancer diagnosis. 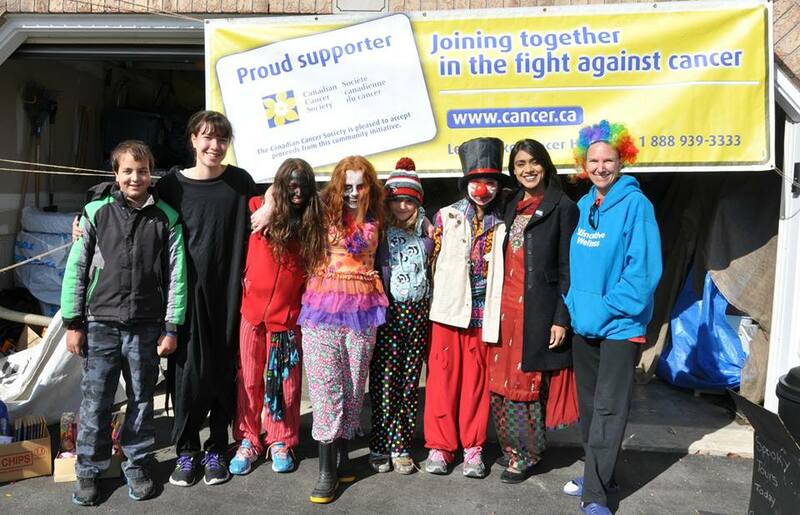 After their friend was released from hospital in 2006, they began participating with him in the twelve-hour Relay for Life, but they wanted to do even more. A dozen enthusiastic volunteers have been working tirelessly on a French hotel themed Spooky Tours named “L’hôtel de la Morte”. 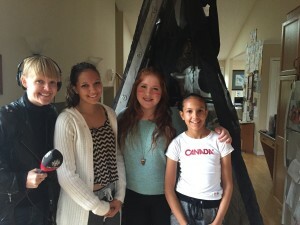 Leela Taggar who is attending L’école Supérieure De Ballet Du Québec inspires the French theme. 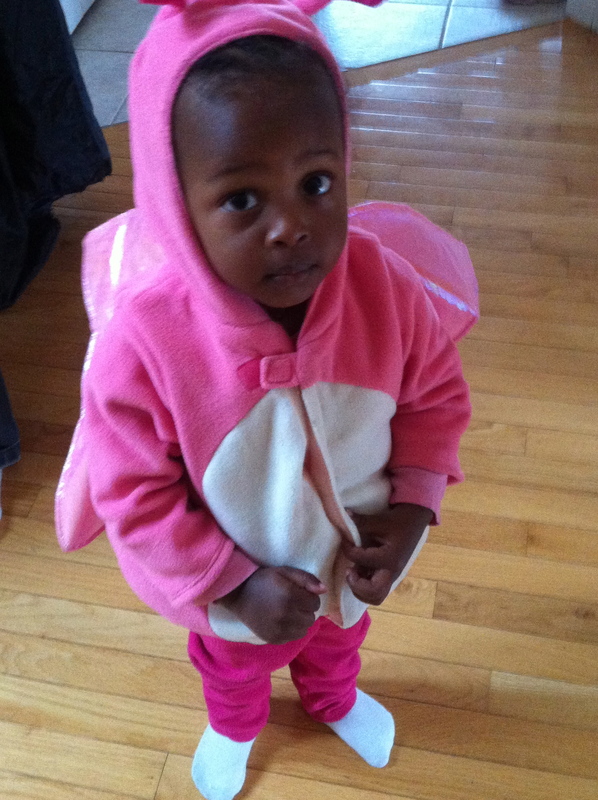 Though her physical body will not be attending Spooky Tours, her spirit will be. Every year, the children expand Spooky Tours. It began its humble beginnings in the garage with children from their street attending and raising $5. 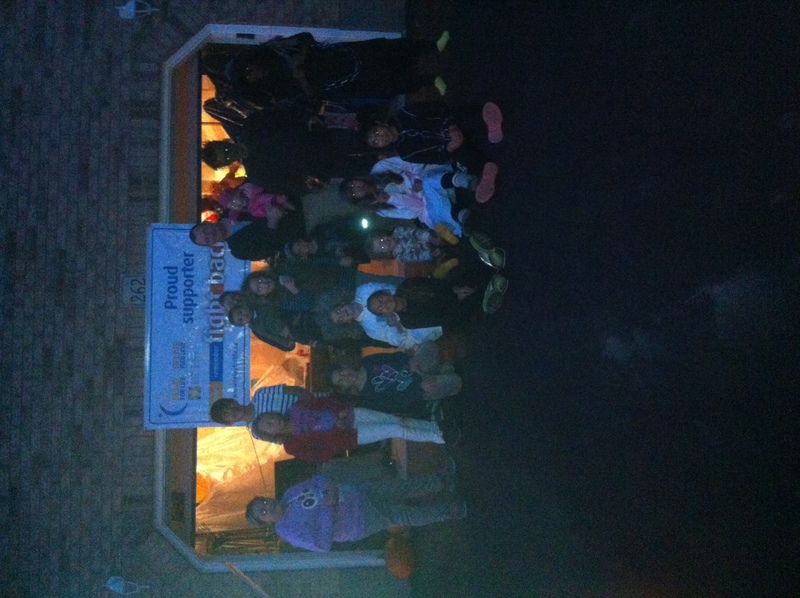 Last year, in their 7th year, they expanded it to three floors of their home, 200 people of all ages attend and raised nearly $1,000, plus clothing for the homeless. 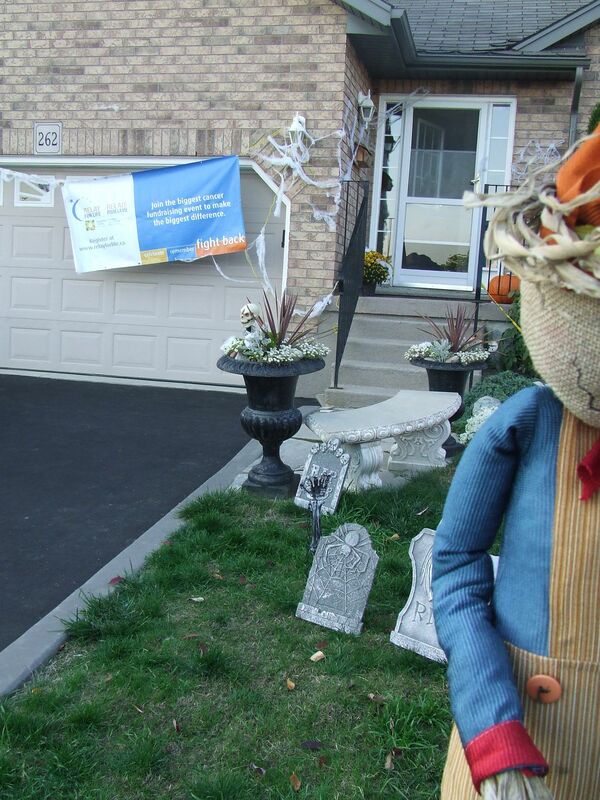 This year, the kids are adding a backyard component and hoping to attract over 200 guests and raise $2,000 for Cancer Research plus clothing for the homeless and food for the food bank. 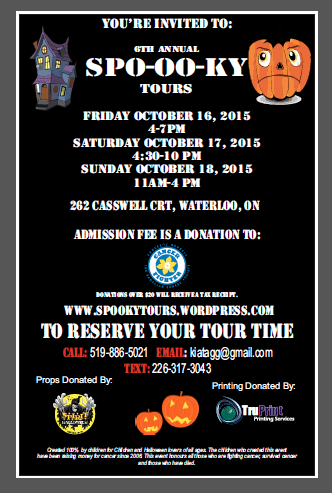 Spooky Tours is ONE weekend only!!! 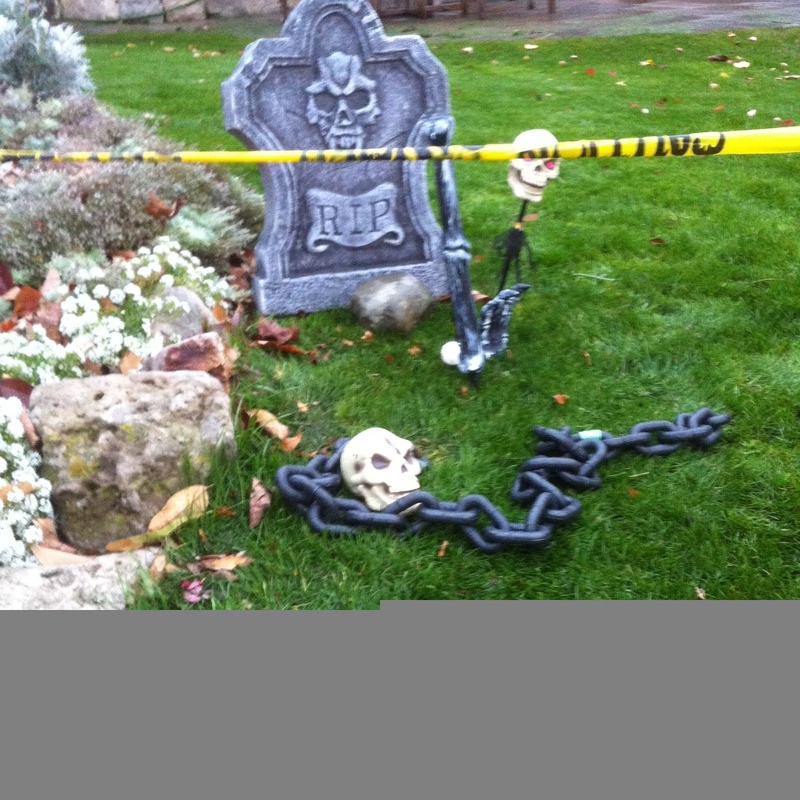 This event is held at our home, which will be transformed to “L’hôtel de la Morte”. 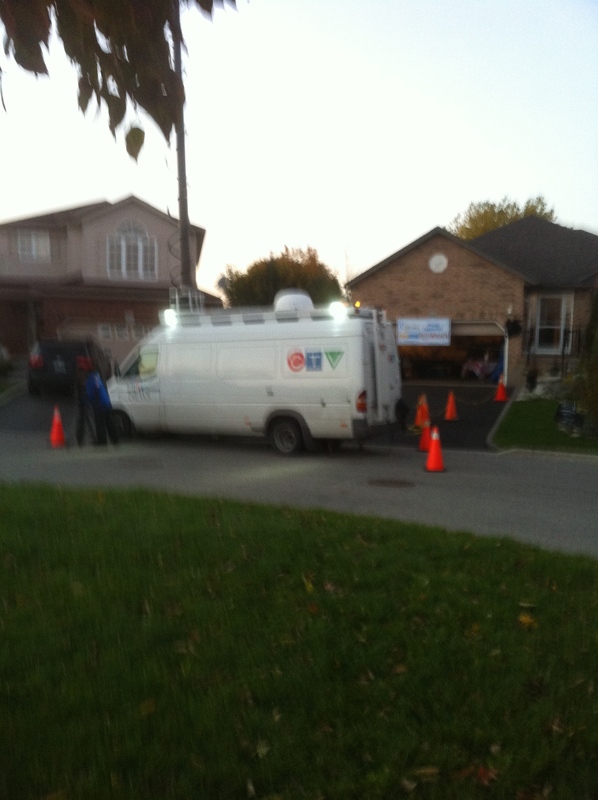 262 Casswell Court, Waterloo, Ontario. 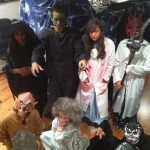 Visiting our Oct 20thweekend Spooky Tours Haunted House: Please invite all your family and friends too. 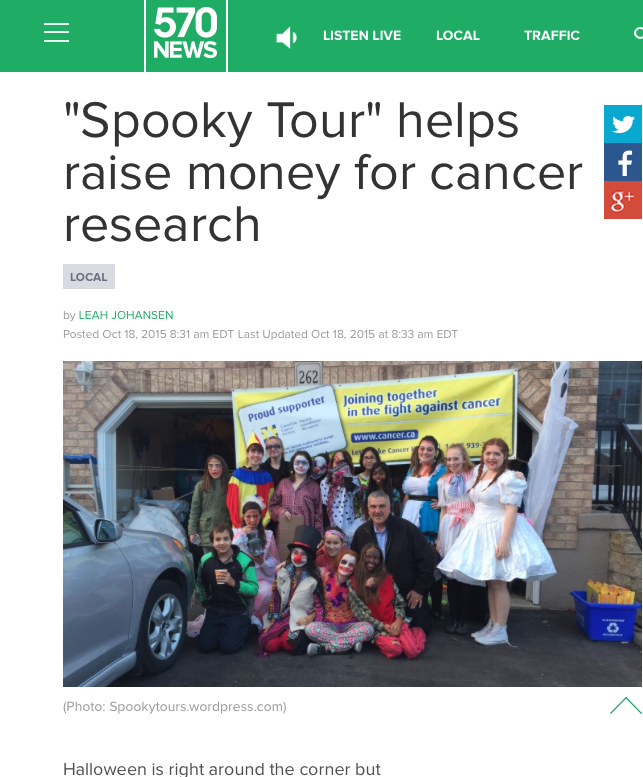 You are encouraged to book your tour time via email Spookytours4cancer@gmail.comor text 226-317-3043. 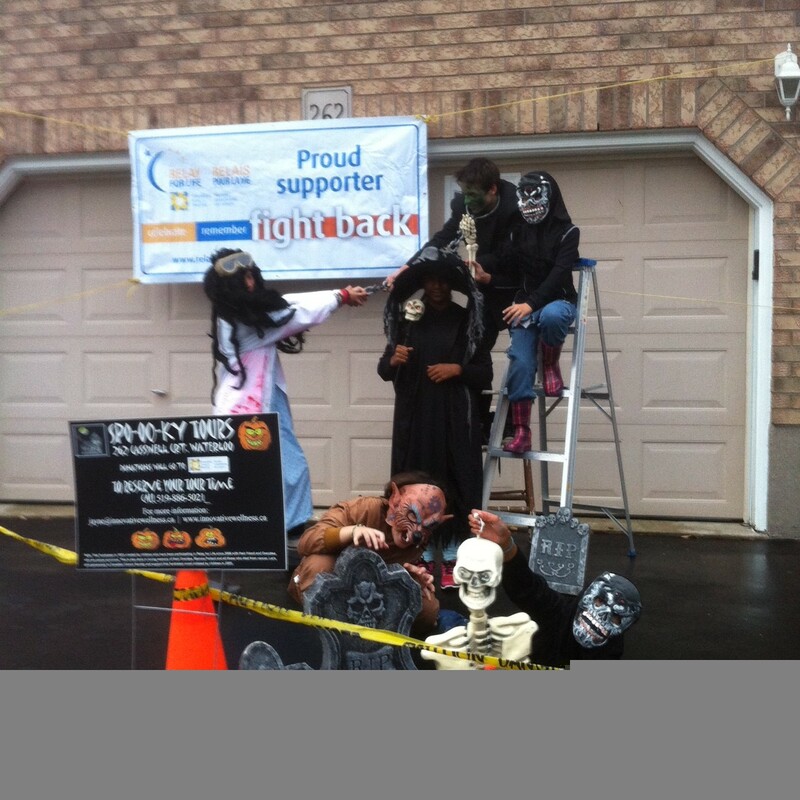 Wear their favourite costumes and post photos on social media with the hashtag #spookytours4cancer. If unable to attend Oct 20th weekend; no problem. We accept donations. You can drop them off, in person, electronically by e-transfers. 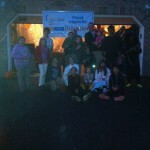 If you donate by Oct 22nd, you will enter your name to win the door prize of your choice. 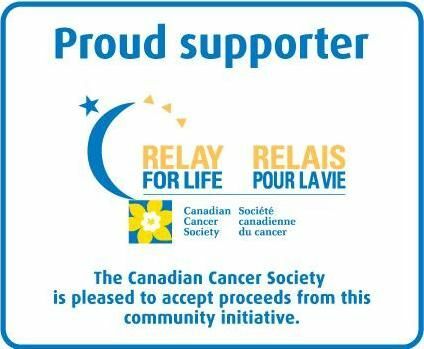 Donations over $25 will receive a tax receipt from Canadian Cancer Society. 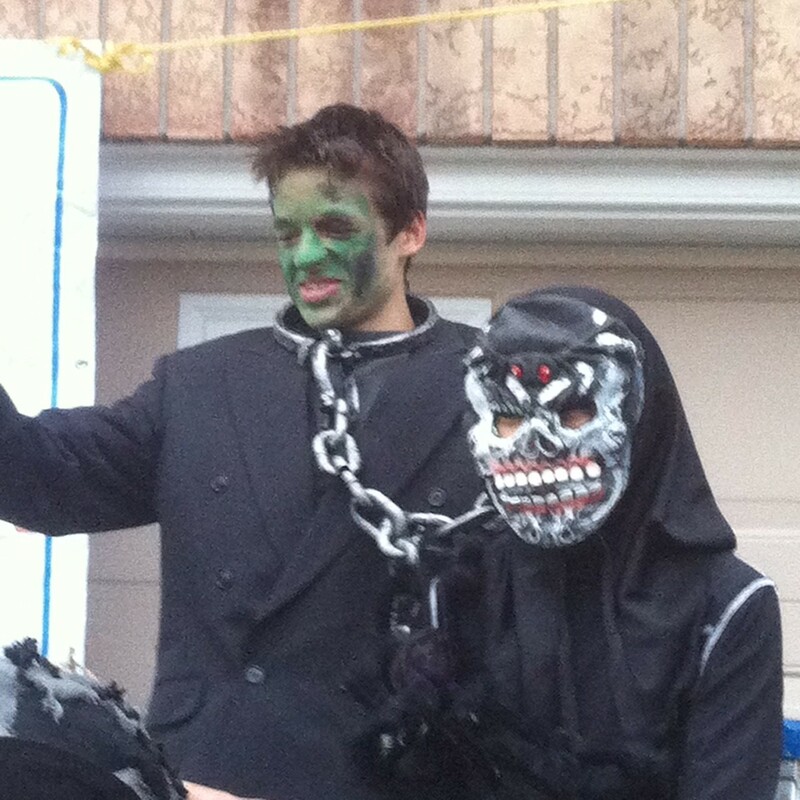 Volunteering: Volunteers are needed to help prep and promote our haunted house. 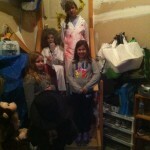 As well as during the Oct 20thevent, And clean up Oct 22, and 27thweekend. When you arrive to “L’hôtel de la Morte”, our host will greet you outside. You will have a chance to play our ball toss game. Depending on the day, you may even see a real fire truck too! Level one is not scary and is ideal for those who do not like the dark or being scared. Guests will explore the ballroom. Level two will be a blend of not scary and a little scary. On a level two, tour guests will explore the “Suite d’amour maudite” (honeymoon suite) and the ballroom with the tour guide. Alone guests are welcome to explore the “Jardin de Terreur” (Garden of Terror). Level three is scary! This is intended only for those who say “you cannot scare me”. The tour guide will begin on the little scary level, then if the participant is brave enough, will continue the tour to “Torture Cuisine” (the Kitchen). Alone the scares will continue to the “Jardin de terreur” (Garden of Terror). 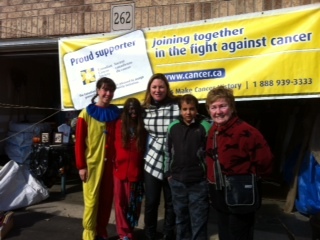 Admission is a donation to Canadian Cancer Society, food to the food bank and/or clothing for the homeless. Donate however much you like. For every $5 donated, you will receive one door prize ballot for a chance to win one of our great door prizes. None of this could be possible without the support of the amazing people and businesses of Waterloo Region. We look forward to seeing you next weekend Oct 20th . Our Mayor Dave Jaworsky has confirmed her will attend; possibly Friday Oct 20th. 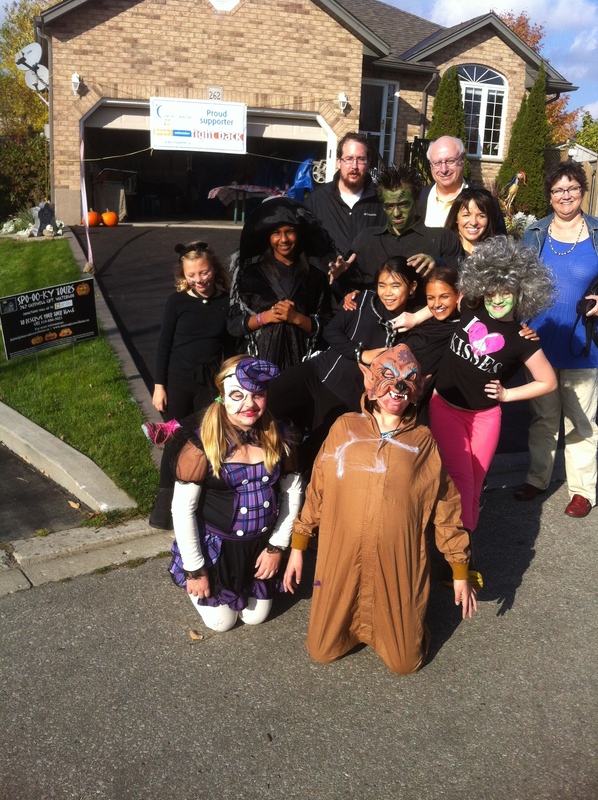 We are hoping all local media, and our other local politicians like, MPP Catherine Fife, MP Bardish Chagger, past Mayor Brenda Halloran, city counsellors will join us for our 8th Spooky Tours. 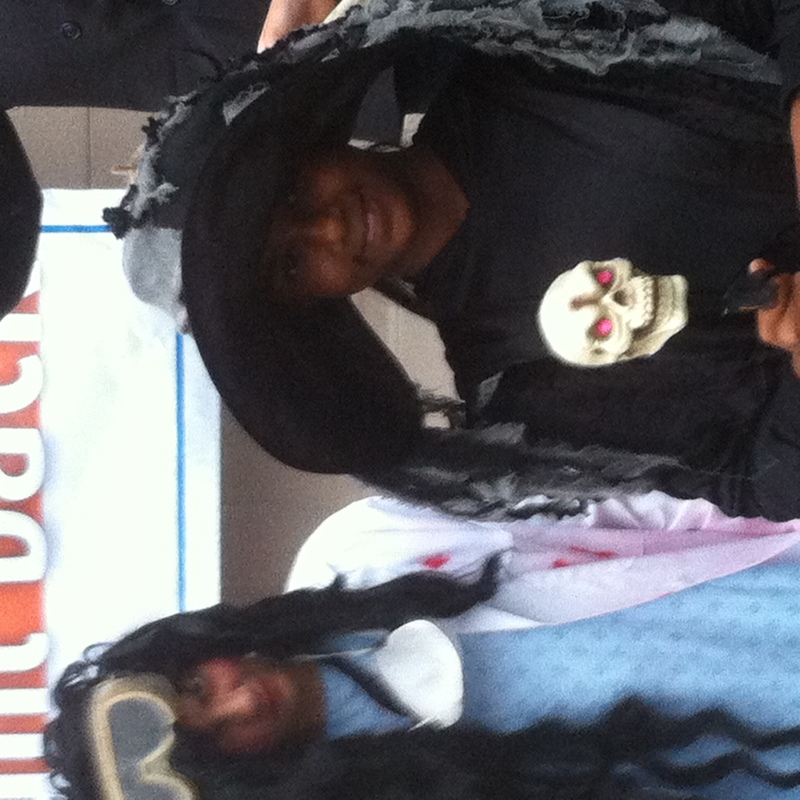 Kia and Leela are already busy preparing to make 2016 Spooky Tours even bigger and better than 2015. 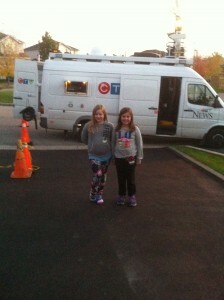 The girls goal is to raise $2,000 for cancer. 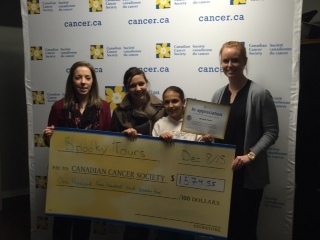 Thank you to everyone who helped make 2015 Spooky Tours a success! 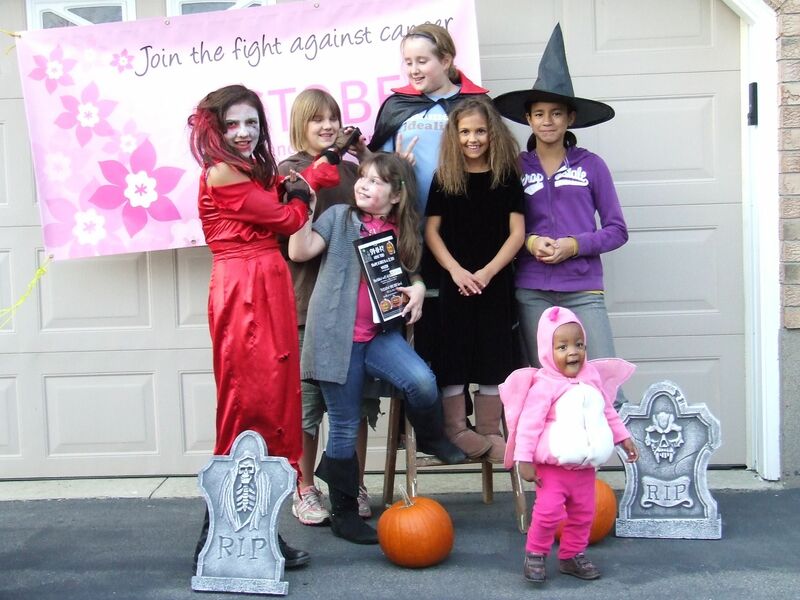 Halloween is right around the corner but local siblings are hoping to kick things off early, in the name of cancer research. 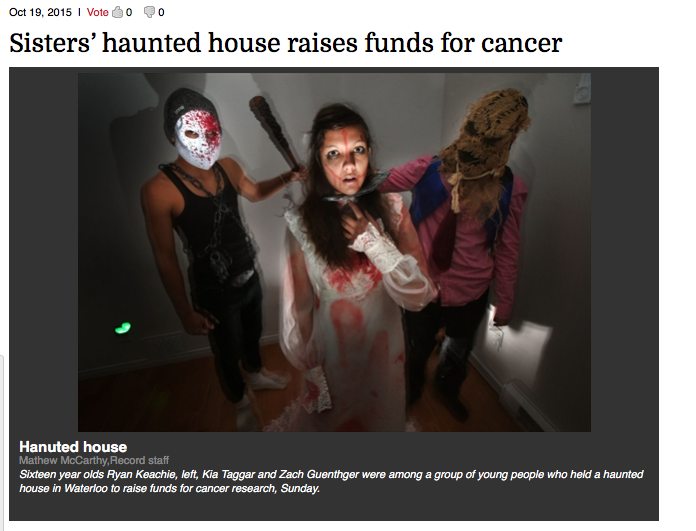 After a friend was diagnosed with brain cancer and given a 2% chance of living, Kia, along with her brother and sister, started hosting haunted houses to raise money for research. 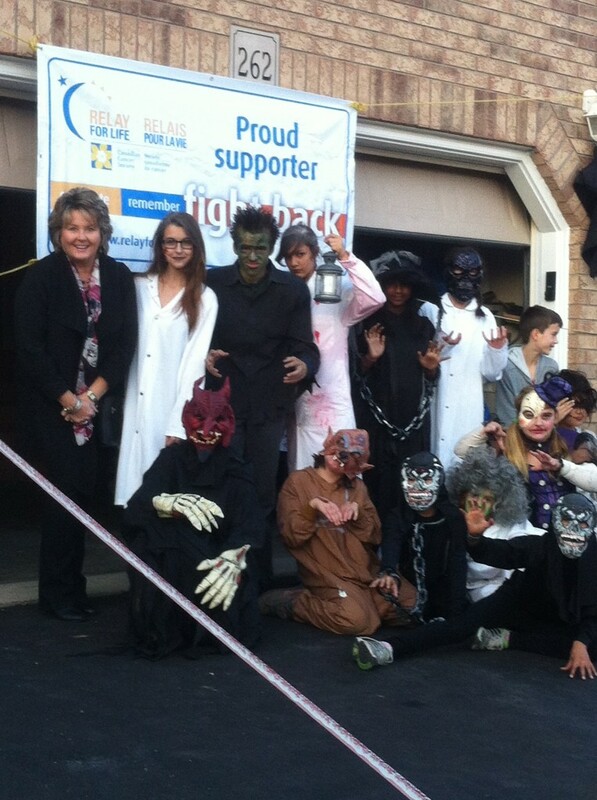 Luckily their friend beat his battle with cancer, but the kids continued their annual haunted house fundraiser to help others fighting off the disease. 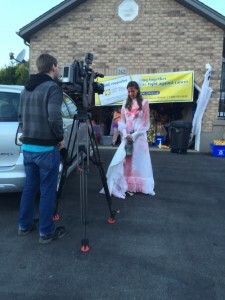 Kia tells us this weekend is their 6th annual Spooky Tour! 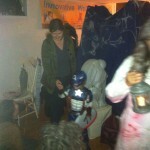 ?This year we?re doing a circus theme Spooky Tour, last year we did mad-sciencist. This year we have three levels of spookiness and it?s gotten huge.? 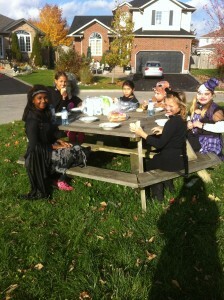 She says they?ll also have circus theme treats and games. This years goal is to raise $1000. You can find more details on their website. CTV news also came out Friday, Oct 16th and interviewed Kia and the Spooky Tours. 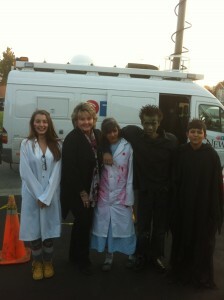 It aired Friday 11:30pm. 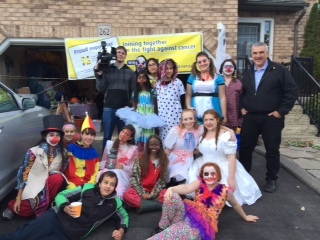 Over 100 guests were brave enough to go through Spooky Tours this weekend including our Mayor Dave Jaworsky, our MPP Katherin Fife, 2 of our candidates, Bradish Chagger and Diane Freeman, Canadian Cancer representative Sarah Bradshaw. 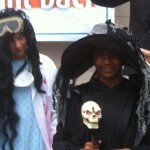 25 volunteers helped every day to put on Spooky Tours. 8 of which slept over last night and woke up today at 7am. Thank you volunteers!!! 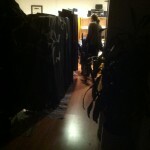 And a special thank you to Alex of SparkGig for all your help. 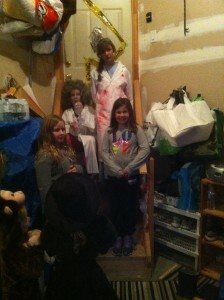 Spooky Tours would not have been as successful without all your help. Kia, Leela and I really appreciated your help. Plus we cannot forget to mention all the behind the scenes animatronics repair guys too. 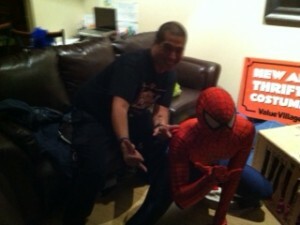 Saturday night, we even had a special appearance by Spiderman. 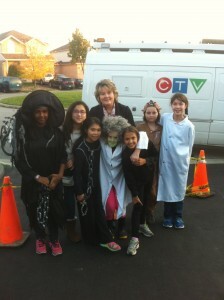 Over 80?brave people went of the Mad Scientist?Spooky Tour to see Frankenstein and the oner scary creatures. 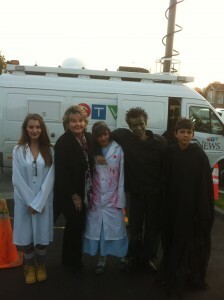 Guests included Mayor Brenda Halloran, CTV’s Nadia Stewart and the live news crew. A special thank you to the 2014 Volunteers and their parents. We could not have done this without you. Did you see the 6pm news Saturday, October 25th? Our goal to raise at least $500 for cancer. 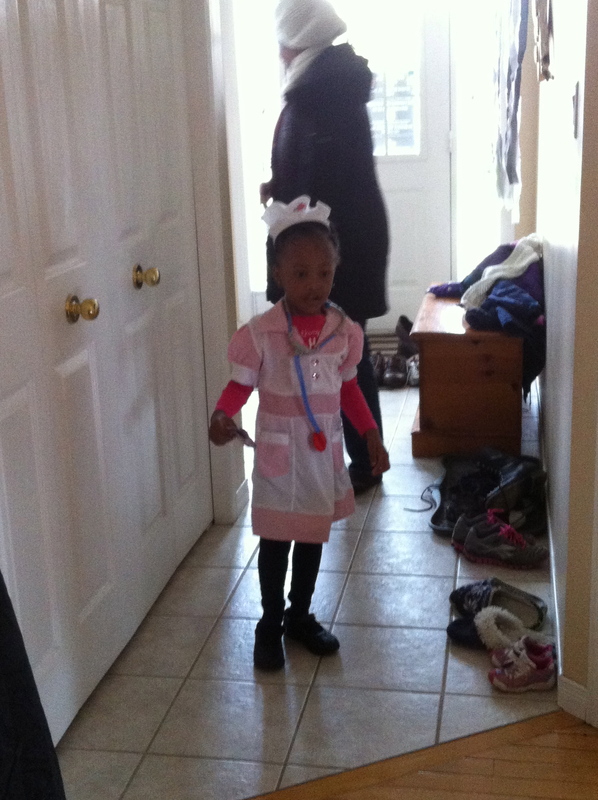 Please support us?in reaching our?goal. 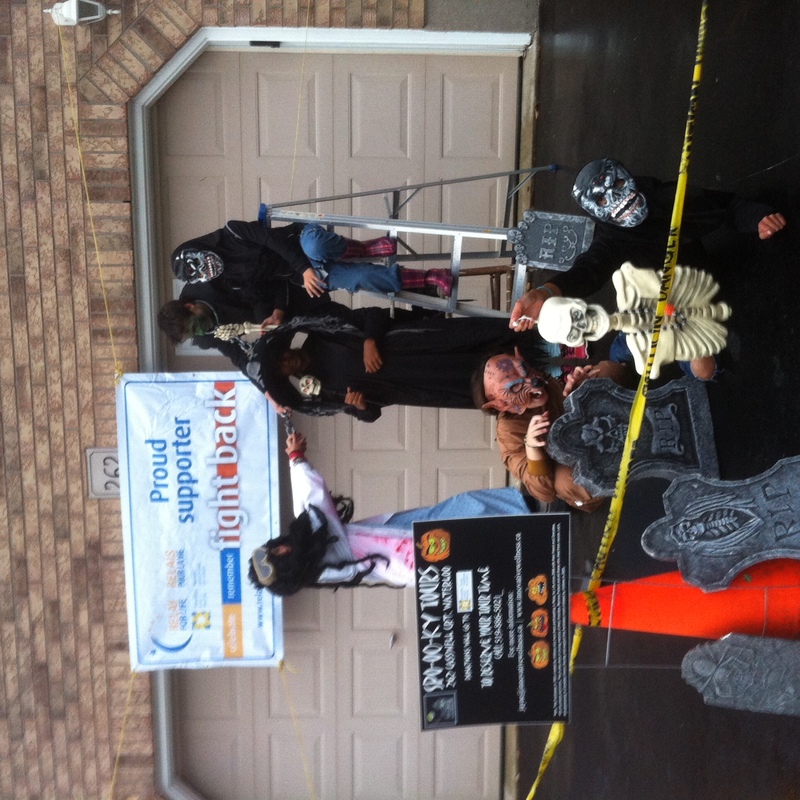 All donations over $20 will receive a tax receipt form Canadian Cancer Society. 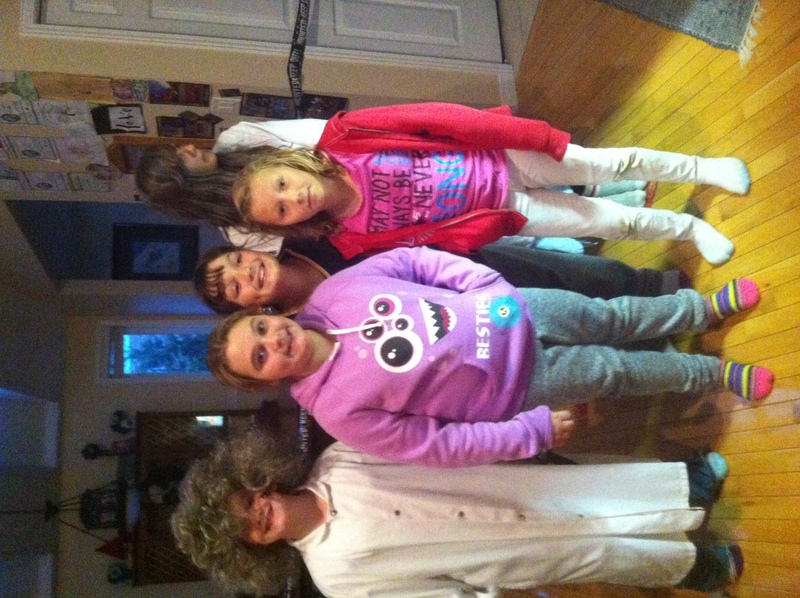 This is our?5th year for Spooky Tours and the theme is “Mad Scientist”. 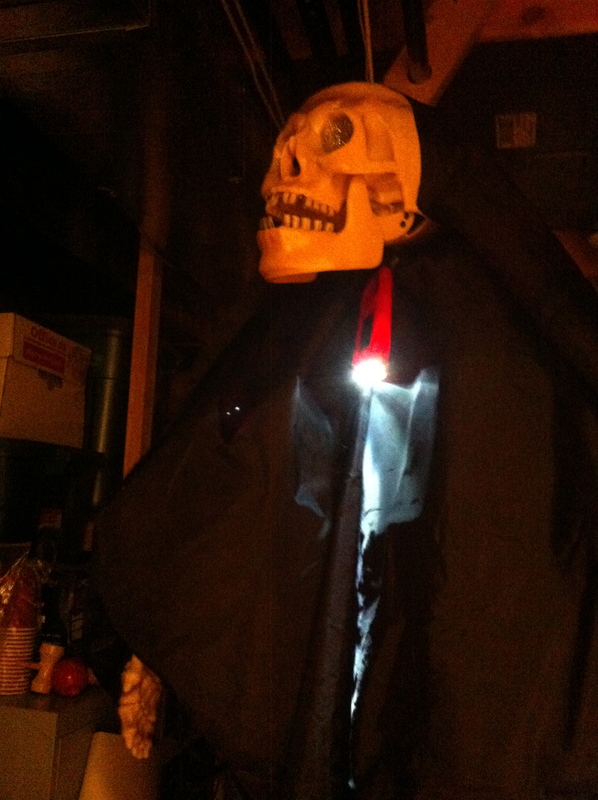 New this year, you will begin your Spooky Tour by visiting the lab in the garage to see a brain, intestines and other gruesome stuff. 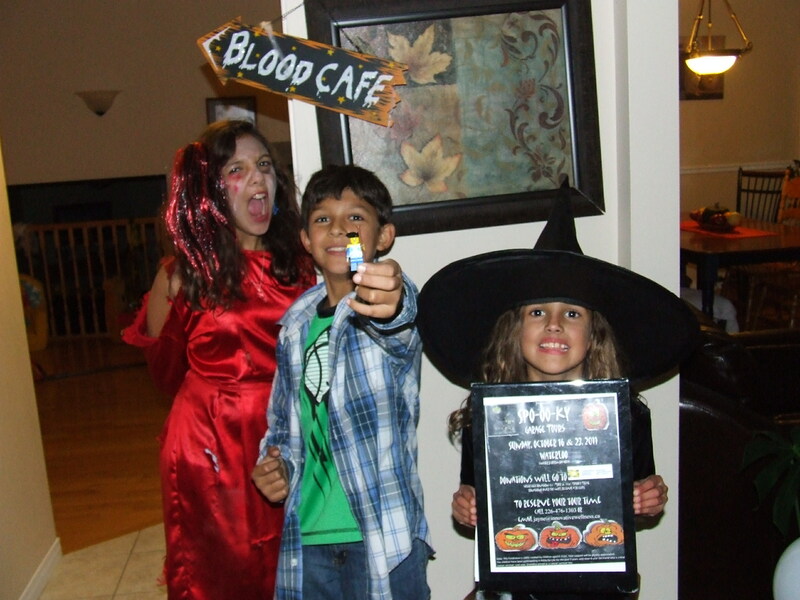 Then you can try the scientist latest potion to drink and spooky treats to eat. 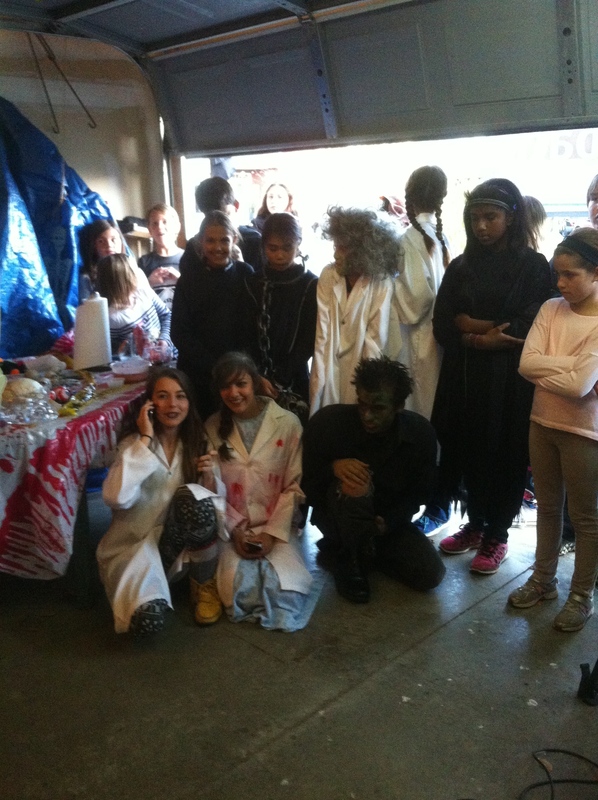 If you are brave enough to enter the indoor lab, the scientist will take you to see Frankenstein and some of her other creepy creatures, some have escaped and are running loose. 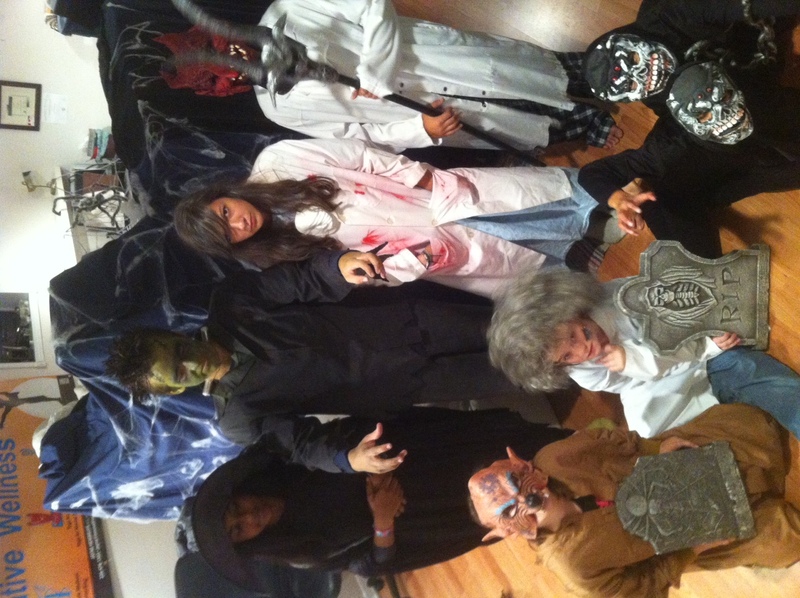 Lab open Fri., Oct 24 6-7pm, Sat., Oct 25 2-4pm & Sun Oct 26 2-4pm . 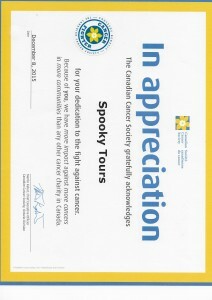 If you cannot attend the Spooky tours, you can still donate to our team on line by visiting Canadian Cancer Society Relay for Life, click on Make a donation button 9blue button on the right), click on Pledge a Participant or a team, type in our team name “Innovative Wellness” or one of the team members. If ?you need help, just email or call us. 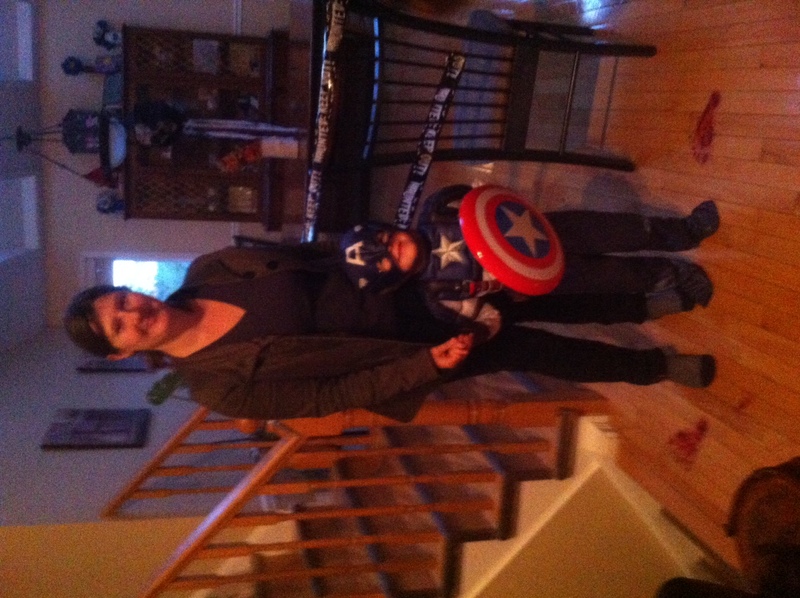 Children are encouraged to wear their Halloween costumes. New this year, avoid?the big large line ups by reserving your time. More specifically, you can reserve?Friday Oct 24 ?5pm, 5:15, 5:30, 5:45, Saturday Oct 25 ?1pm, 1:15pm, 1:30, 1:45pm, or Sun Oct 26 ?1pm, 1:15pm, 1:30pm, and 1:45pm. Please share this event with all your contacts. This will help us read our goal this year is to raise at least ?$500 for Cancer. Remember, this?event is created by kids, for kids of all ages – suitable for all ages. 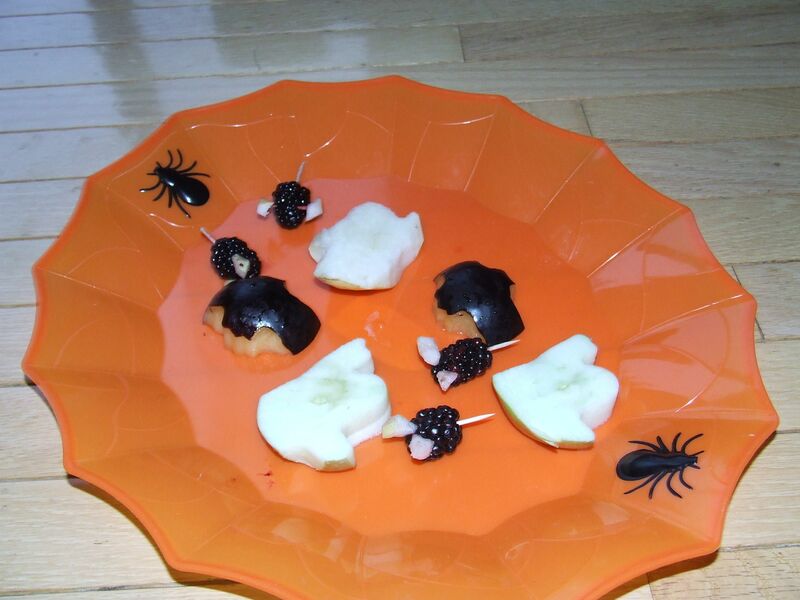 We offer Spooky tours and spooky treats and even some Healthy Spooky Snacks. 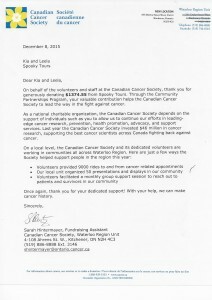 Fee: Donation to Canadian Cancer Society Fundraiser This event is 100% created by children who have been participating in Relay for Life since 2006 with their friend and Grandma who are cancer survivors. 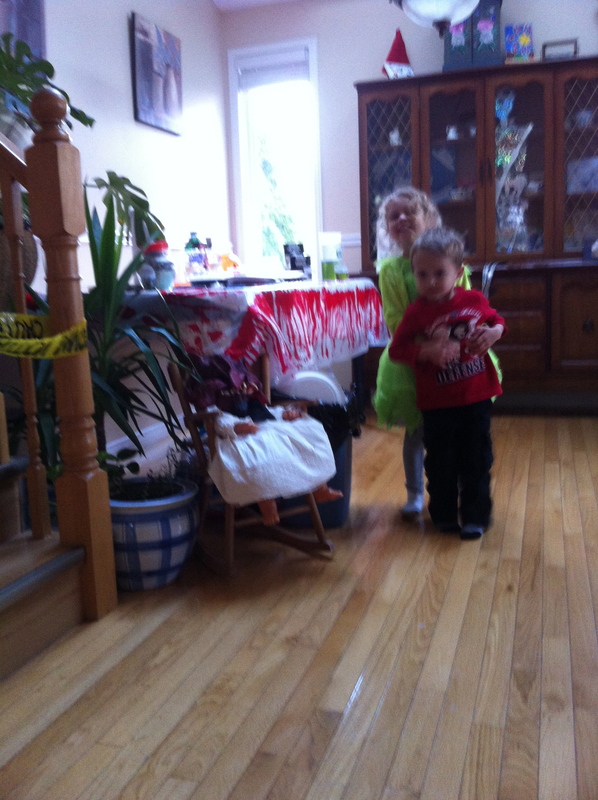 This is also done in loving memory of their Grandpa, Momma Pollard and all those who died from cancer. 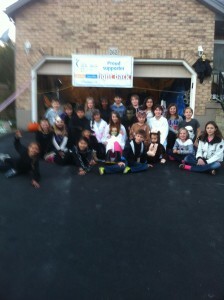 Please?give generously to Canadian Cancer Society and support this fundraiser event initiated by children since 2009. 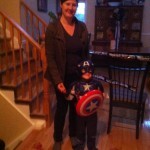 In 2006, our friend who was three was diagnosed with brain cancer and given very low percentage of survival…however he fought and ?is alive today. Once our friend was well enough to be out of the?hospital his Mom asked if we would like to join them in the Relay for Life (that was in 2006 and we have been participating ever since). We enjoy Relay for Life,?especially the candle lighting in remembrance of the loved ones like our?Grandpa, Momma Pollard, Great Uncle, and we celebrate those who are winning the fight against cancer like our friend who is now 11 and both of our?Grandmas. 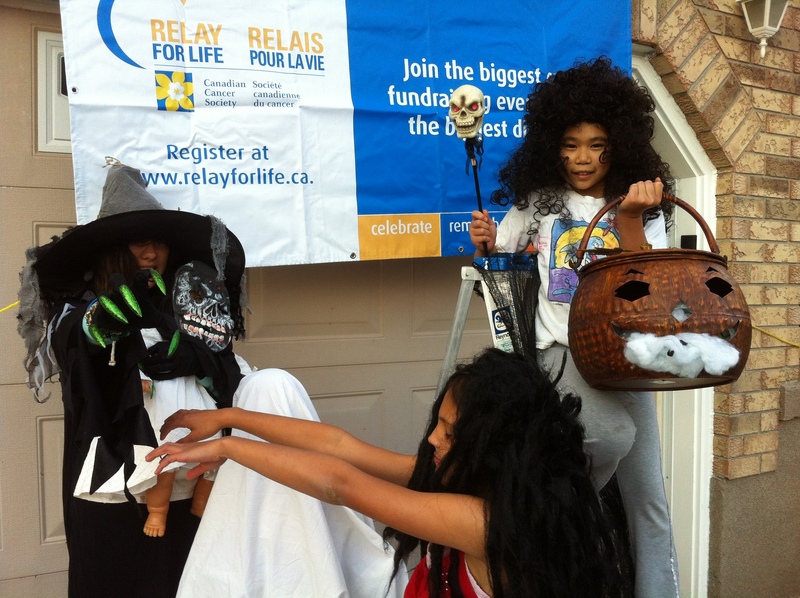 During the 2007 Relay for Life, we told our Mom we?wanted to raise more $$ for cancer. 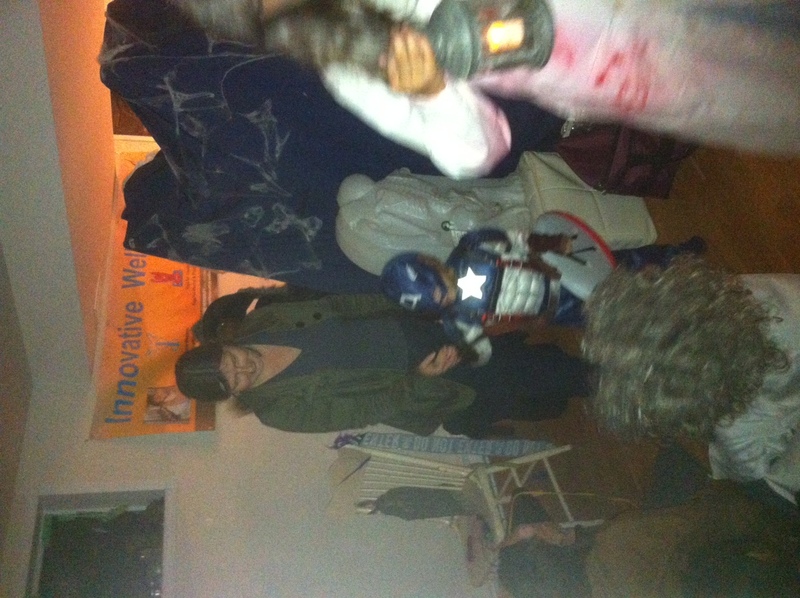 Mom?suggested we?create an event for kids by kids, so we?did. 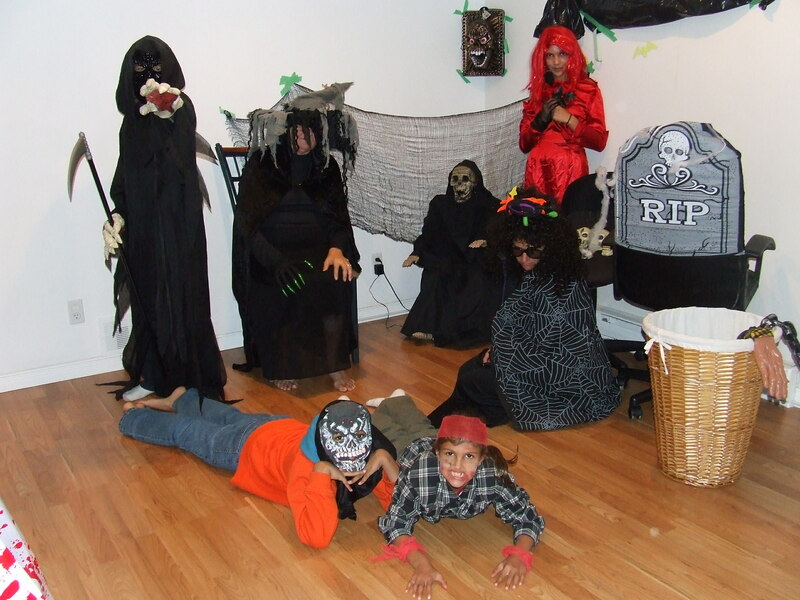 In 2008, the we?came up with the concept of the Spooky Tours (ages 9, 7 and 5 years old) since we loved to scar our brother trying different spooky things. 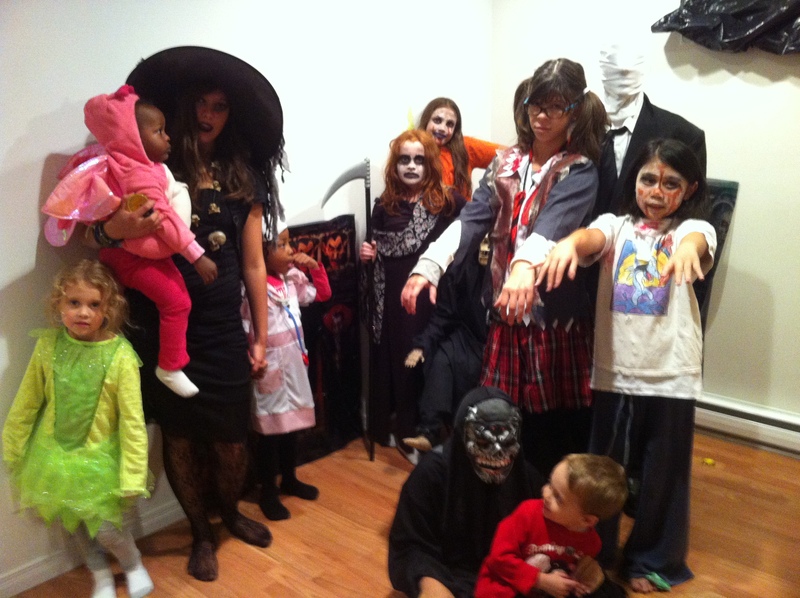 In?October 2009 we?held our?first Spooky Tours event in the garage, then a couple years ago they expanded and took over moms?yoga den. 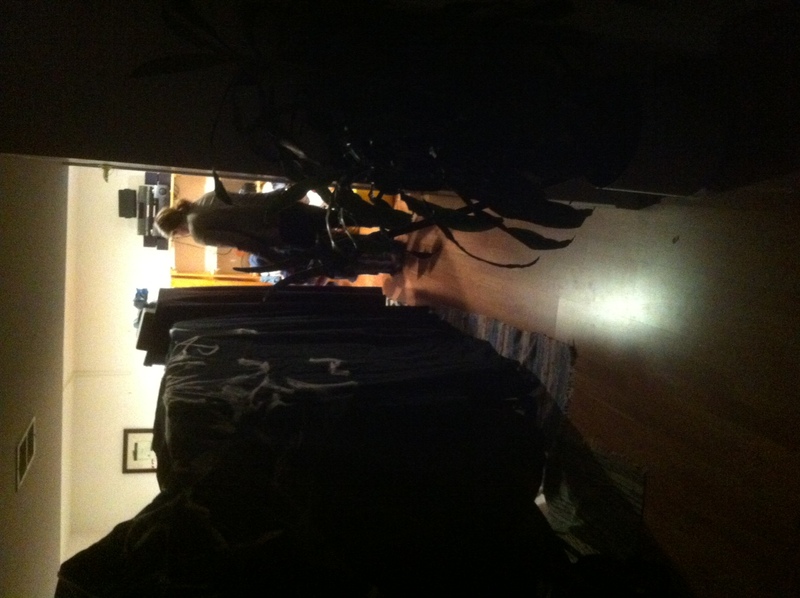 This year we expanded again and are now int he garage and yoga den. 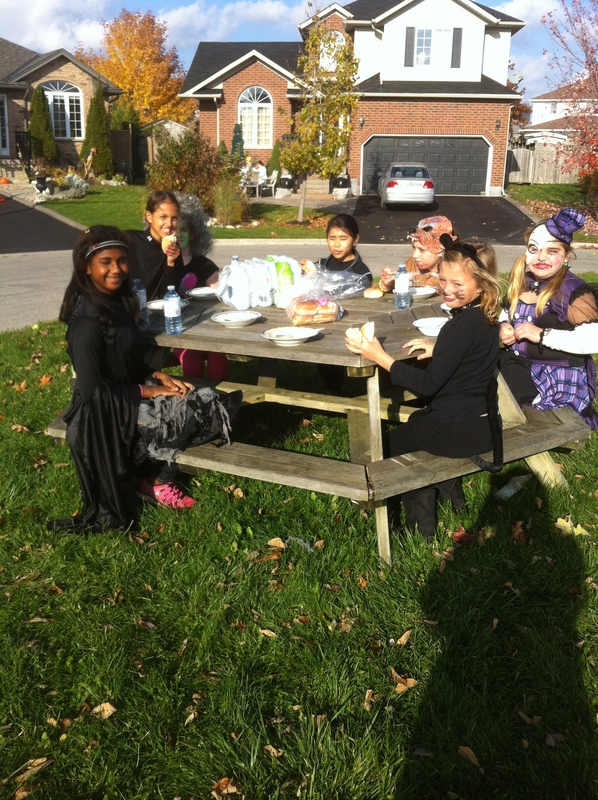 Oct 24, 2014 weekend was?our?5th year for Spooky Tours. 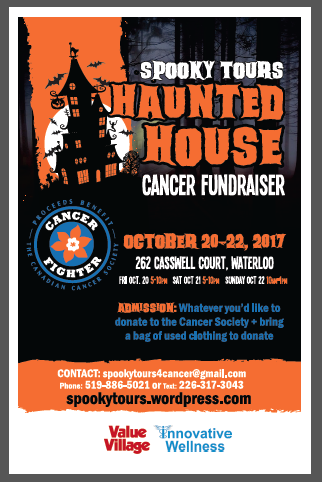 Our cancer survivor friend has moved away form KW, however, we would wanted to ?continue the Spooky Tours Fundraisers to keep raising more money for cancer. 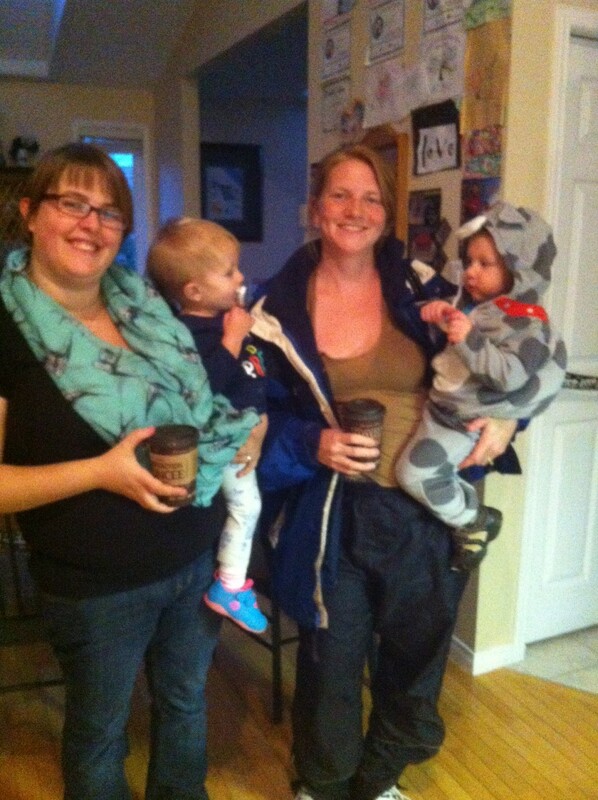 We have some of the same volunteers and have recruited a few new ones. 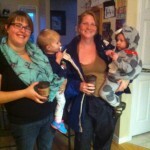 All of us our kids ranging in aged from?11-15 years old. We have been busy all fall promoting the event at the Butterfly Release for Waterloo Region Suicide?Prevntion at Kitchener City Hall, at Growing Up Healthy Event at Kitchener’s Family Centre, at our school, in our neighbourhood and and we have asked mom to mention it to all the groups she teaches. 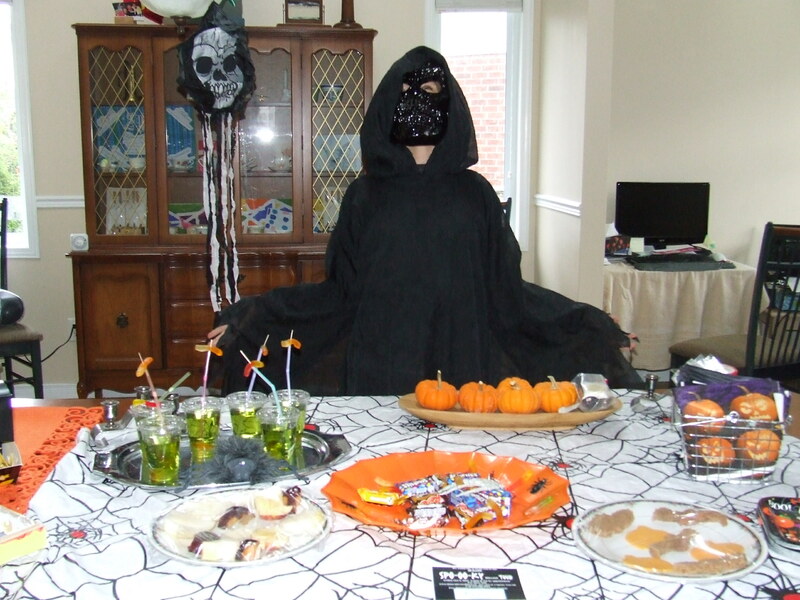 This year we have all new costumes, new potion to drink and some new and old favourite spooky treats. Children are encouraged to dress up to attend this weekends spooky tours. 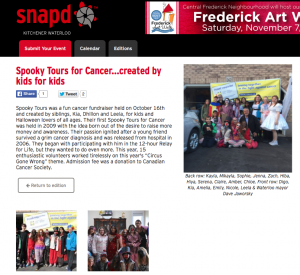 4th Annual Spooky Tours for Cancer Oct 27, 2013? ?raised $178 for Cancer? 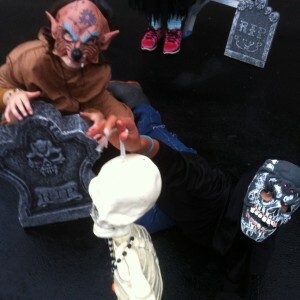 October, 2014 for our 5th Spooky Tours? 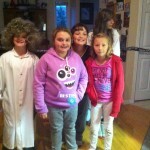 Fee: Donation to Canadian Cancer Society?Fundraiser This event is 100% created by children who have been participating in Relay for Life since 2006 with their friend and Grandma who are cancer survivors. 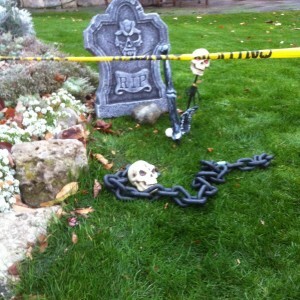 This is also done in loving memory of their Grandpa, Momma Pollard and all those who died from cancer. Let?s give generously to Canadian Cancer Society and support this fundraiser event initiated by children since 2009. We would like you to join our team? June 14, 2013 a ten year old on Team Innovative Wellness walked 50 laps (400m X 50 = 20km). That is 20km!!! 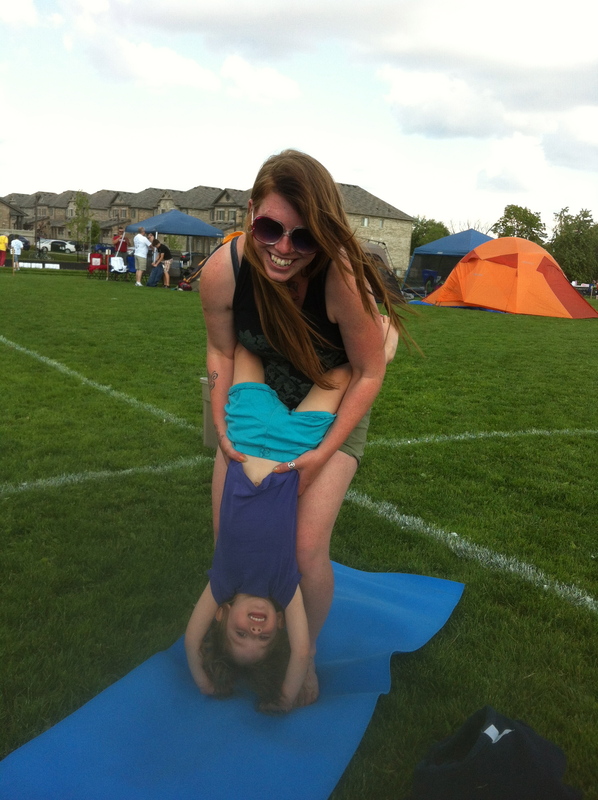 Family Yoga at Relay for Life 2013? 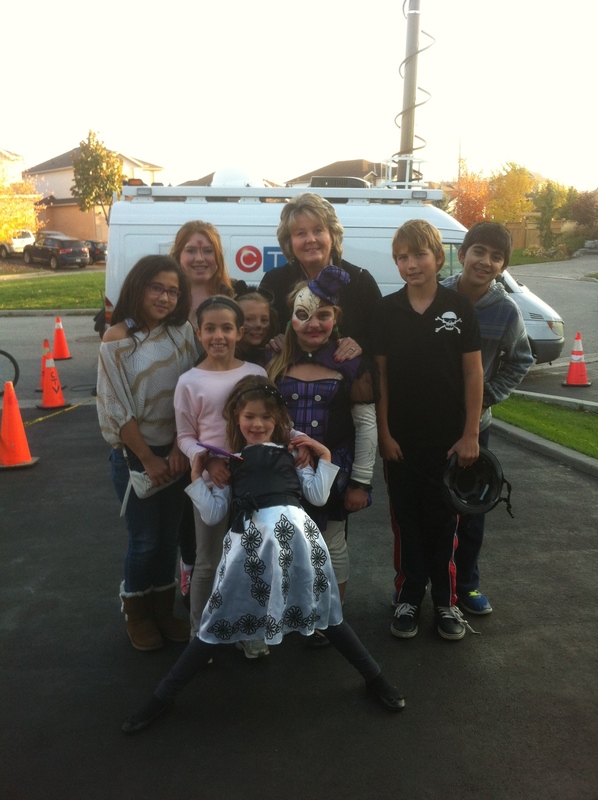 This Fundraiser is 100% created by children who have been participating in Relay for Life since 2006 with their friend and Grandma who are cancer survivors. 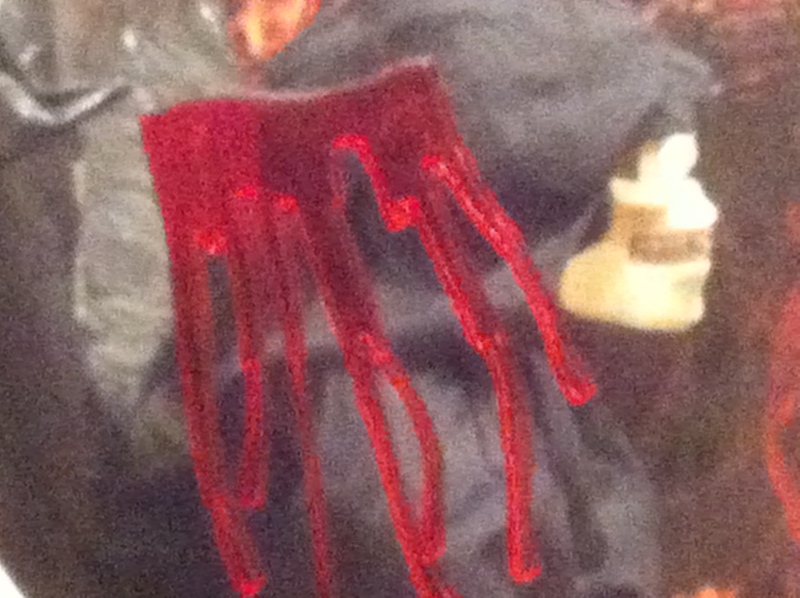 This is also done in loving memory of their Grandpa, Momma Pollard and all those who died from cancer. 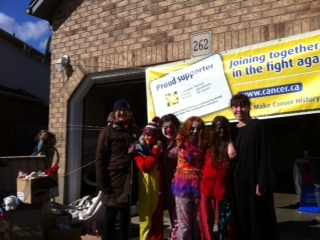 Let?s give generously to Canadian Cancer Society and support this fundraiser event initiated by children since 2009. 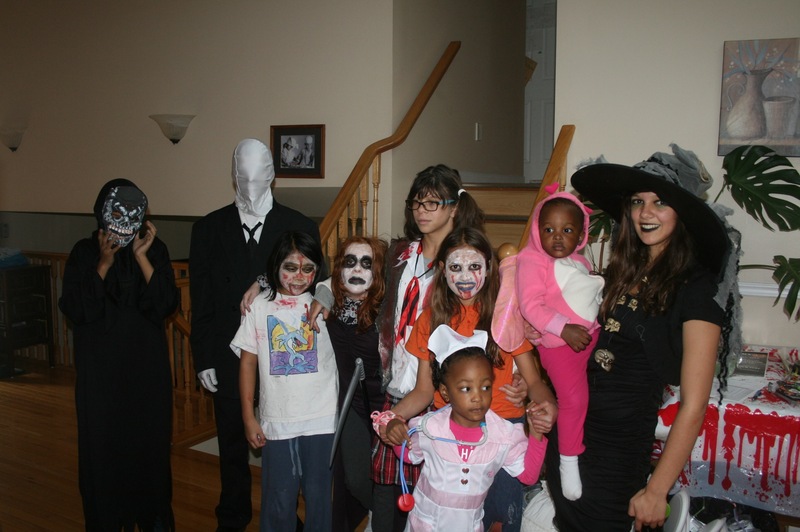 We?would like to thank all of you who helped make the 3rd Annual SPOOKY TOURS?2012 a success with over 70 people ranging in age from 2 years old to people over 70 years. A special Thank you to Connie of TruPrint for generously donating all the invitations, posters and lawn signs. SPOOKY TOURS ?give thanks for our health and support those fighting cancer.